The World of Eternity, Knowledge and Bliss. Lack of spiritual knowledge results in an incomplete personality. Complete your personality by adding spirituality! Expand your understanding of life and learn the art of being successful irrespective of the circumstances in life. 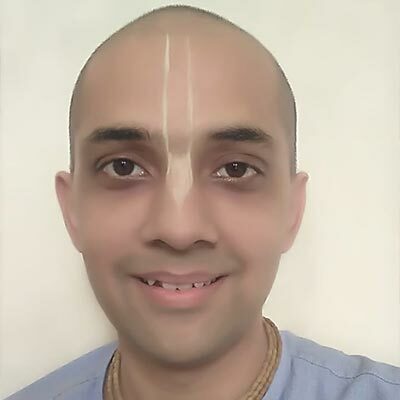 Learn the techniques of life management from the eternal knowledge of the Vedas for tension-free and successful life. This lecture teaches the audience to become a fearless entrepreneur, a motivational leader and an expert manager. This unique initiative by GIVE is solely focused at disseminating the knowledge of Bhagavad Gita to the entire world. Highlights of all the 12 Cantos of The Ultimate Knowledge, Srimad Bhagavatam explained by His Grace Shri Vrindavanchandra Das in just 24 hours. The Science of God – Sri Ishopnishad, presented in an easy and scientific way and filled with logical and practical examples from day to day life. 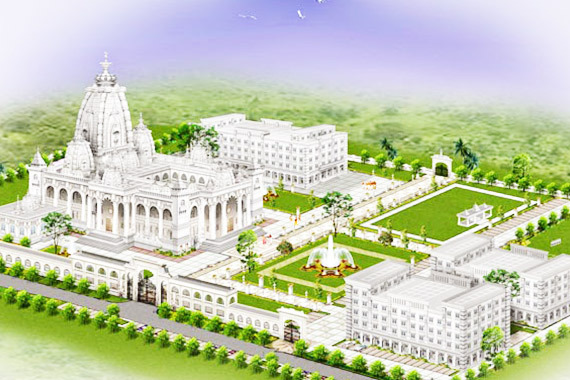 Fulfilling the desire of Srila Prabhupada, GIVE is aspiring to build an International Centre for Bhagavad Gita Studies. The sole purpose of this centre is to preach the knowledge of Bhagavad Gita to the entire world as delineated by our Eternal Saviour and Deliverer His Divine Grace A.C. Bhaktivedanta Swami Prabhupada. 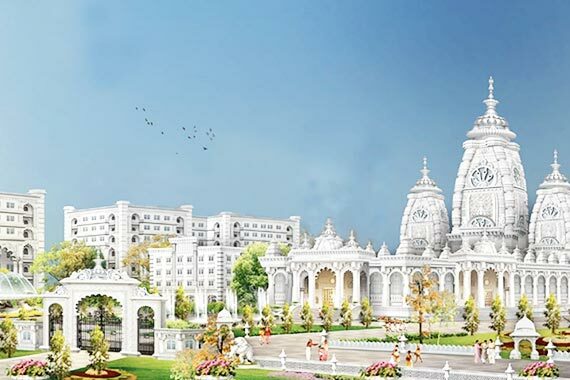 Prabhupada always wanted to setup a centre where spiritual education based on Bhagavad Gita and other Vedic literatures is imparted to the entire world because there is no university, no institution and no school giving this knowledge. Walking on his footsteps and fulfilling his desire we are aspiring to build this centre that will not only systematically propagate spiritual knowledge to society at large but also educate people how to practice this great science and make their lives perfect. Discover your true self. Start by taking this unique Spiritual Quotient Test and get to know your spiritual strengths and the areas of improvements. Take this first step to a new journey to find that, which you have always been looking for - genuine, unlimited, eternal happiness. 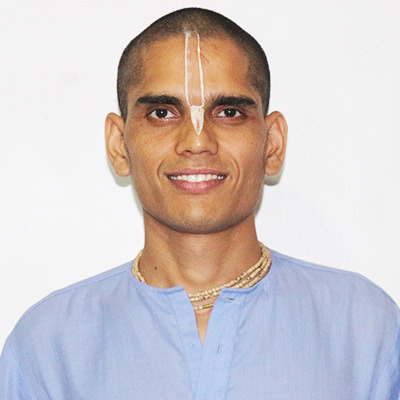 Our team headed by Shri Vrindavanchandra Das will give you precise and honest recommendations based on your SQ test so that it best fits to your current spiritual quotient and thus help you progress in spiritual life to attain the ultimate goal of life. You may take the prescribed spiritual course as per our recommendations which are purely based on the SQ test. 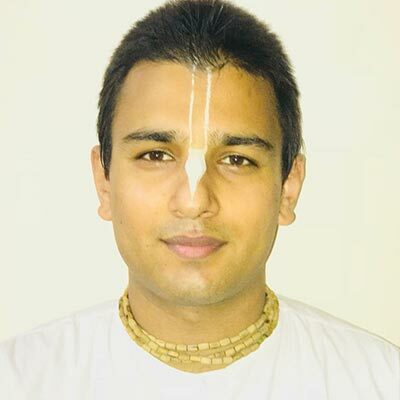 The courses are audio-video lectures given by our Shiksha guru, Shri Vrindavanchandra Das, based on the eternal teachings of Srimad Bhagavad Gita and Srimad Bhagavatam which are considered to be the essence of the unlimited ocean of Vedic knowledge. We will assign an educator with whom you can get in touch and start your journey towards a complete personality. Today the entire human civilization boasts at the so called knowledge by which it believes to have made huge improvements since the past - better educational institutions, scientific firms, hospitals, transportation etc. Alas! All these improvements have miserably failed to give that one thing which man has been looking for since time immemorial- eternal peace and happiness. Until and unless, man knows the purpose of his existence, the purpose of the existence of this universe, all his endeavors are going to result in failure. The purpose of man’s existence starts by knowing oneself. That is the beginning of spiritual life. Without spiritual knowledge everything that we do, any knowledge that we inculcate, is incomplete like a cheque that may have hundreds or may be thousands of zeros, but no digit in the beginning to give it a significant value. We have tried our best at our own personal capacity to extract happiness from this world and we have not been successful. Here is a knowledge that is all perfect, that holds the secret to never ending happiness that we have all been longing for. So we should all utilize this rare human form and take this spiritual knowledge and become successful. 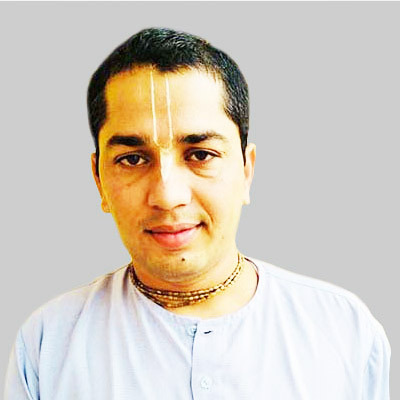 We offer to help the serious and determined spiritual aspirants to lead a spiritual life by either being a full time devotee at GIVE wherein you get the opportunity to dedicate your life with like-minded devotees onto the service of the Lord and make your life successful, or by helping you in practicing spirituality in your personal life, irrespective of your profession and family background, so that your entire family may be spiritually transformed and progress towards the divine abode of the Supreme Lord. Endowed with a revolutionizing personality, a humble disciple and servant of His Divine Grace A.C Bhaktivedanta Swami Thakur Srila Prabhupada, Shri Vrindavanchandra Das is an exceptional scholar of Vedic knowledge who is renowned all over the world for his lucid and logical explanations on the mysteries of the Bhagavad Gita. By the mercy of Srila Prabhupada, he has been revealing to countless souls, the secrets to a blissful life which we all have been looking for. Born to an army officer, educated in convents and an ex-general manager of a five-star hotel, he decided to dedicate his life for preaching the knowledge of Bhagavad Gita in 1982 and later established Gaurannga Institute for Vedic Education in 2007. His unique style of presenting complex concepts lucidly and in an easy to understand language with examples from day to day life makes his followers to connect with him. We invite you all to be a part of GIVE and make your life successful by taking this knowledge. We, here at GIVE organize various spiritual festivals and events in order to give each soul an opportunity to associate with the Lord and his devotees and make his life pure and successful by engaging in their holy service. We post periodical blogs rich with spiritual content based on authentic Vedic scriptures and the teachings of our bonafide Acharyas, to quench your thirst for spiritual knowledge and help you lead a successful life. Now you can watch and listen to the weekly live lectures of Shri Vrindavanchandra Das on Facebook and Youtube at the comfort of your house every Wednesday (Q&A session) and Sunday (Spiritual discourses) LIVE!! I have been listening to Shri Vrindavanchandra Das ji for last many years. And its my opinion that His Grace has very strong command on Bhagavad Gita and his way of explaining is the best and easiest. Bhagavad Gita has started making sense to me and applying its instruction in my character has become very practical after listening to your 7 day seminar on it. Your manner of explaining is very easy and practical. You speak the truth without any fear. I recommend those who want to understand Bhagavad Gita must listen to His Grace’s 7 day seminar on Gita.